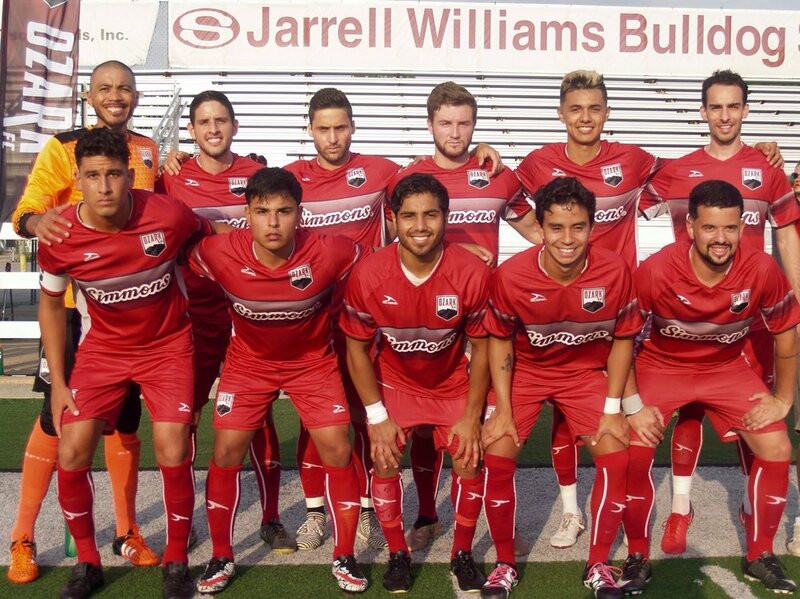 Ozark FC put together their strongest performance of the season Saturday night in front of an energetic crowd at the Jarrell Williams Bulldog Stadium at Springdale High School, but fell short, suffering a 0-1 loss to league-leaders FC Wichita. Despite dictating the tempo, possession, and chances for the majority of the match, Ozark was unable to solve Wichita goalkeeper, Mark Weir, who made a number of big plays to keep the game level throughout the night. FC Wichita broke through in the 69th minute to tighten their hold on first place in the Heartland Conference of the NPSL. Wichita broke through in the 69th minute when striker Franck Tayou found himself alone in front of the goal after a long ball was misplayed by the Ozark backline. Tayou still had work to do to beat Ozark goalkeeper, Manuel Heredia, who got a hand on the shot, only to see it trickle into the net behind him. Ozark FC played a higher tempo of soccer than they had in their previous four matches, keeping the ball in possession for long stretches, while constantly testing and pressuring the Wichita back four. Ozark attackers, Amilcar Gonzalez and Leo Borges, created issues for the league leaders with their aggressive movement and individual runs with the ball throughout the first half. In the 17th minute, midfielder Vitor Cositorto slipped Borges through Wichita’s back line and left him one-on-one with Weir. Borges was dragged down in the box, but the official waved off the contact, despite a roar from the home crowd of nearly 500 spectators. Weir’s strong performance continued throughout the night as he shut out Ozark for the second time this season. After the game entered the break with the score tied, Ozark came out on the front foot, but the home side struggled to create dangerous chances. Guilherme Barbosa found space down the left flank, and was joined by Santiago Vanegas to serve a series of good crosses into the box, but the Wichita defense was up to the task. The game took a change in the 73rd minute, when Wichita midfielder Eddie Gomez put a two-footed challenge on Ozark captain TJ Rodriguez, leaving the visitors with 10 men for the remainder of the game. But Ozark was unable to capitalize, as the game became more direct, and Wichita held on for three points. Ozark FC hits the road next Saturday in Springfield, Missouri, as they look for their first win of the season against the Demize NPSL.